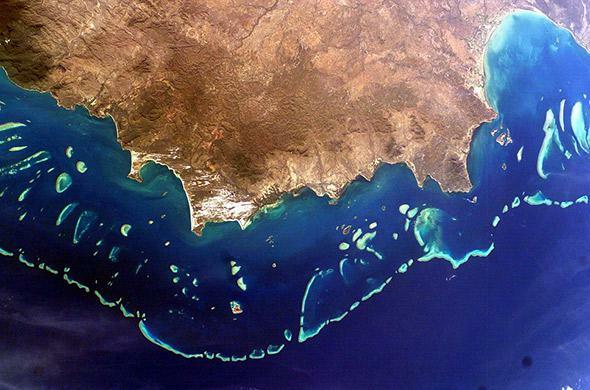 Why it’s a really, really bad idea to dump dredging spoils by the Great Barrier Reef. The Great Barrier Reef is a World Heritage Site but has been in severe decline for decades. Late last year, the Australian government approved a plan to expand a coal terminal at Abbot Point in Queensland, one of five major ports along the Great Barrier Reef coastline. The project involves dredging approximately 5 million tons of sediment from the seabed to deepen the port. The resulting material will be dumped 25 kilometers out to sea, inside the boundaries of the Great Barrier Reef Marine Park. The park authority claims that the approval is subject to 47 strict environmental conditions that will protect the reef from damage. Environmentalists, not surprisingly, are up in arms. Some claim that the dredge material is toxic and that it will be dumped directly on to the reef. Neither claim is true—the material is just sand, silt, and clay, and will be dumped on to bare seabed. But that doesn’t mean that the project won’t damage the reef. Far from it. The Great Barrier Reef is a World Heritage Site but has been in severe decline for decades. 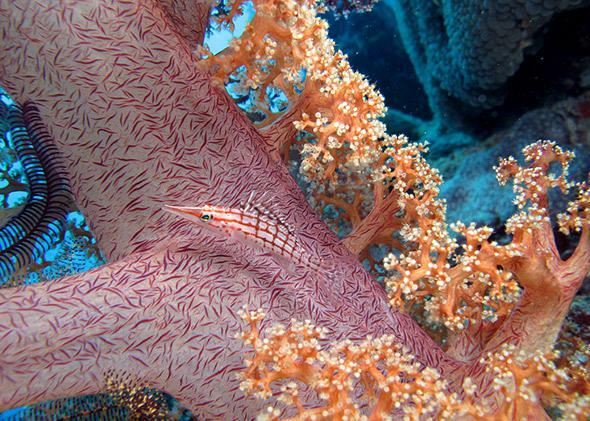 For many species and ecosystems—corals, seagrass, dugongs, turtles, and fish including sharks—the situation is dire. The causes of decline are well known: pollution from coastal development and agricultural run-off, coral diseases, ocean acidification, coral bleaching, and increasingly severe storms. Water pollution is a particularly serious threat. Suspended sediment makes the water murkier, which can deprive sunlight-dependent organisms such as coral and seagrass of food. Farm run-off also increases the population of crown-of-thorns starfish, which prey on coral. At present, the only measure in place to reduce pollution is an agricultural run-off scheme, which is quite successful but also quite limited. There is nothing to specifically manage sediment from port development. Nonetheless, the Australian government claims that the Abbot Point project will not affect water quality. In fact, when environment minister Greg Hunt announced the plan, he said it would improve water quality. The government expects to achieve this with an “offset” program that will stop farm run-off from entering the Coral Sea. If that sounds too good to be true, that’s because it is. Such improvements to water quality are likely to be impossible. To offset Abbot Point’s 5 million tons of dredge spoil will require an equivalent reduction in agricultural sediment over the approximately five years that the project will run. Given that the total sediment reaching the Great Barrier Reef from human activities on land is only 6 million tons a year, that is a tall order. In addition, the rules require that the offset must come from the watersheds of just two rivers, the Burdekin and Don, which together contribute less than 3 million tons of sediment a year. Reducing their discharge by 5 million tons over five years implies restoring them to almost pristine conditions, requiring the removal of most agriculture—obviously an impossible and undesirable situation. The Great Barrier Reef, seen from the International Space Station. A further complication is that the offset sediment must consist only of particles smaller than 15 micrometers across. Given our limited knowledge of particle size distribution in agricultural run-off, this creates immense technical hurdles. Finally, based on the cost of the existing farm run-off scheme, the overall cost may be as much as $1 billion Australian. The minister’s statement only mentioned funding of $89 million Australian. If that weren’t bad enough, three other large Queensland ports—Cairns, Townsville, and Hay Point—are also planning major expansions over the next decade. Another, Gladstone, has been undergoing expansion since 2010. From the public documents available, I estimate that these projects will generate a total of up to 150 million tons of dredge spoil at a rate of 15 million tons a year. To offset the impacts of all these port developments is even less achievable. Even more port expansion is likely in the future. The recent approval of a large coal mine near Alpha, Queensland, will require further dredging at Abbot Point that is not accounted for in the current project. If dredging is not managed well, I expect severe degradation of the reef as a result. Seagrass beds, the dugongs and turtles that rely on them, and inshore coral reefs will be severely damaged. There are a few encouraging signs of improvement, however. Hunt has ordered that in the future, Gladstone’s spoil will have to be dumped behind bund walls rather than offshore. Spoil from the expansion of the port of Cairns may be dumped on land. Nonetheless, it is clear that under the current regime, management of port development is not compatible with the Great Barrier Reef’s World Heritage values. On top of that, neither the Australian nor Queensland governments have effective climate policies that would help protect the reef; the Queensland government rejects the scientific evidence of climate change, and the position of the Australian government is ambivalent. So of the three big threats to the Great Barrier Reef—climate change, coastal development, and agricultural pollution—only the final problem is being managed on the basis of good science, and then only to some extent. There is another way. At Abbot Point, dredging could be avoided altogether by building a long jetty into deeper water. If dredging must happen, the spoil could be dumped behind container walls. It is inexcusable that these options have been rejected: The decision has clearly been made to expedite the project at the least cost to the developer but maximum cost to the environment.